Since vine-ripened tomatoes aren't always available, some fruits will need to be softened before eating. Tomato aficionados say that the only way to enjoy a tomato is to buy it in-season at a farmers market or grow it yourself and pick it ripened off the vine. But for many people, tomatoes are a source of vitamins and flavor throughout the year. Those of us who purchase supermarket tomatoes, which may not be fully ripe, or want to use late-season green tomatoes from our gardens need to know how to soften them. Place hard supermarket tomatoes in a paper bag to soften and ripen them. Speed up the process by adding to the bag a ripening apple or pear, which will release ethylene gas. (Commercial producers use this naturally produced gas to speed the ripening of fruits that are picked green.) Open the bag periodically to check the ripening process. Ideally, you want a firm, brightly colored tomato. Wrap tomatoes in newspaper. This method works well for green tomatoes from a late-season harvest. Select mature green tomatoes that are firm to the touch and free of holes, scars or cracks. Gently wrap each fruit separately in a sheet of newspaper and place in shallow boxes or upon shelves. Keep them in the basement or other cool, dark place. Check the tomatoes frequently for any specimens that begin to rot and remove them before they spoil other fruits. Once you see color emerge on the fruit, remove the paper and bring them into room temperature to finish ripening. 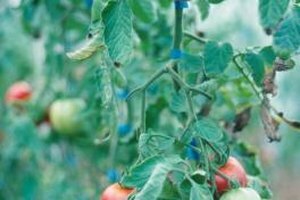 Pull up the entire plant to save late-season tomatoes just before a frost. If you have a garden full of green tomatoes you can save them by hanging the plant upside down in your basement or other cool location. The tomatoes will continue to mature naturally. Pick the tomatoes as they ripen. Don't leave tomatoes on a windowsill to ripen. 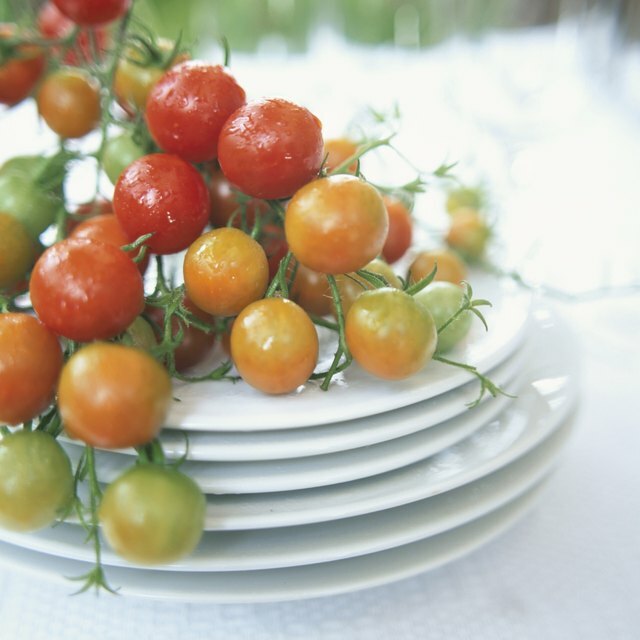 Warmth ripens tomatoes, but sunlight can soften them too much and rob them of vitamins. Bringing an entire plant inside can be a messy process. Gently remove as much dirt as possible, without disturbing the fruit. Also, check the plant for insects and remove them outdoors. Is There an Easy Way to Peel Lychee?